The guide forms part of a series of six across Southern Wales and features a selection of accommodation, hospitality providers, visitor attractions, activity providers and day tour itineraries, to give group organisers a flavour of the borough. 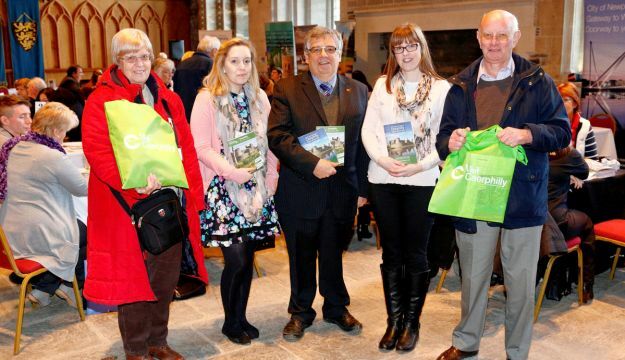 The launch of the guide coincided with a ‘Group Travel Showcase’ held in Caerphilly Castle on Tuesday 2nd February. The event was organised by Southern Wales Tourism Group and attracted over forty group travel organisers from across England, as far north as Yorkshire. The showcase was the culmination of a two-day familiarisation visit across the Southern Wales region, which also included an evening tour and meal at Llancaiach Fawr Manor in Nelson. It is hoped that the success of the Group Travel Showcase along with the launch of the travel guide and the new 2015 Caerphilly Visitor Guide, will bring visitors to the county borough and in turn allow the team to support and benefit local businesses.